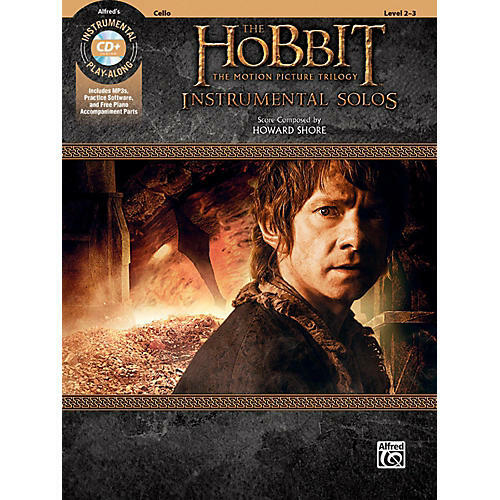 Instrumentalists will delight in this collection - which features thematic interpretations of 28 selections from Howard Shore's brilliant scores to The Hobbit motion picture trilogy. Shore masterfully expands upon the musical palette of Middle-earth - blending familiar motifs from the Lord of the Rings trilogy with an exciting array of memorable new themes. This beautifully produced folio features an array of colorful photos from the film. Titles: My Dear Frodo * Old Friends * Axe or Sword * The Adventure Begins * Warg-scouts * A Good Omen * Song of the Lonely Mountain * Dreaming of Bag End * A Very Respectable Hobbit * Erebor * The Dwarf Lords * Beorn * The Woodland Realm * Feast of Starlight * Bard and Family * Lake-town * Girion and Bard * House of Durin * Smaug * I See Fire * Beyond the Forest * The Gathering of the Clouds * Mithril * Sons of Durin * The Return Journey * The Last Goodbye * Ironfoot.